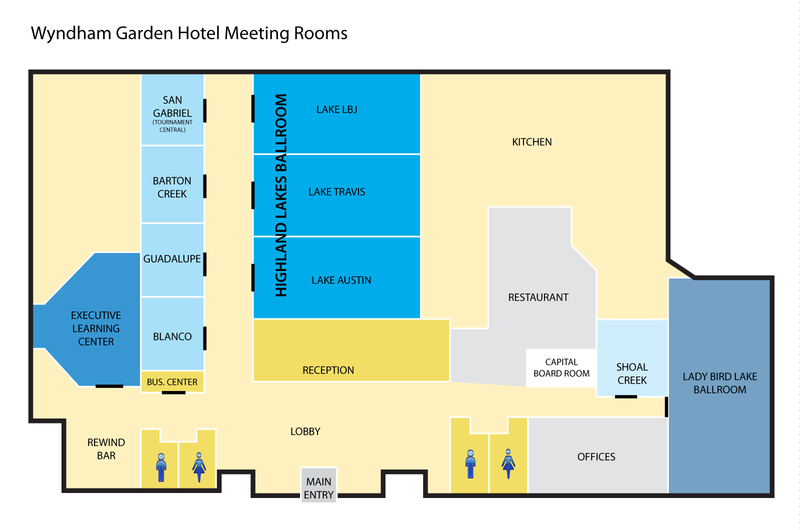 On Friday, October, the 2011 USAFL Administrators Conference and Annual General Meeting (AGM) will take place at the Wyndham Garden Hotel in Austin. The Admin conference begins at 9:00am sharp in the Executive Learning Center (click on the map below for a larger view). Following the Admin conference, the AGM will begin at 4:00pm promptly and finish around 4:30pm. Early registration opens at 5:00pm in the Highland Lakes Ballroom to players who are yet to register or pay their player dues. General registration for all others will begin at 6:00pm and stay open until 11:00pm.